My favorite time of the year is at Christmas when I specifically ask for only one gift: a customized, Erin Condren Life Planner. Call me a nerd or an overachieving student, but when I have that planner with me, I am invincible. I start off each semester with my nice G-2 pens and an array of colored highlighters and get down to business, writing in every foreseeable event and deadline, color-coding as I go. This is my roadmap and nothing can go wrong as long as I follow it. Or at least this is the false hope I give myself before really diving into the semester and facing the harsh reality that life really doesn’t care what you have written down and how you plan to manage your time. Last semester, Pepperdine University faced incredible challenges including a local shooting in Thousand Oaks which claimed 13 lives, including one of our own, Alaina Housley. This was followed with us to only to be uprooted and evacuated the day after due to the incoming Woolsey fire consuming hundreds of thousands of acres of land, homes, and businesses in Southern California. Nowhere in my planner did I create time for mourning or evacuating my home or University. Nowhere in my planner did I write down what to do in event of a natural disaster. Nowhere in my planner did I find inspiration nor comfort from such tragedies. And as I head into my last semester as a graduating Senior, facing the anxieties of post-grad life, I am beginning to realize all the answers aren’t in my planner. The answers to questions of my post-grad life won’t be found within the spiral bound colorful planner that gives me daily reminders. No. These answers to deal with the stress, anxiety, and doubt that will enter my mind as I am handed my diploma, walking across that stage, can only be found with God. Many examples of God’s followers, in the New and Old Testament, were not immune to these same anxieties and doubts and some even tried to forge their own way, rather than trust in the Lord’s plans for them. For example, in the story of Moses, recorded in Exodus, his brother, Aaron, and the rest of the Hebrews rescued out of Egypt, became restless in waiting for Moses to come down from the mountain and deliver the 10 Commandments. Instead of waiting patiently for God’s Word and Plan, they decided to build a golden calf to worship, entrusting amongst themselves with how to continue to live their life, building their own plan. The Lord became furious and sent Moses down to stop this idolatry. The Hebrews, in their impatience, leaned on their own understanding rather than the Lord’s. Not only does it hurt us when we decide to take everything on ourselves, but it hurts our God because He has even bigger and better things awaiting. He is so excited to share His vision and purpose He has for each one of us. But we can’t know what those things are if we don’t allow ourselves to step away from our calendars, our phones, and our work. For, sometimes, the best plan is no plan. This is the moment God can truly step into our lives and show us the great power and love He has for all of us, including the amazing things He has in store. For “the human mind may devise many plans, but it is the purpose of the Lord that will be established” (Proverbs 19:21). It takes (especially planners like myself) a daily commitment to remember that no matter how hard we try, we will never be able to control what life will throw at us. And we also must remember that when dealing with those challenges, we don’t have to face them alone. God knows the trials we must each face, but He is indeed the Ultimate Planner, intricately weaving our life with the plan He has for us. Within each failure, mistake, or challenge, there is God, waiting patiently for us to just stop and listen as He is ready to lead us down the path He has created for us. Lastly, I leave you with some of the lyrics to one of my favorite worship songs, Captain, which reminds me daily that I am not the Great Decider of my life. Only God knows which direction my life will take, but I must be willing to listen and hear his voice in order to fulfill His purpose for me. As this Hillsong song states: “Like the stars, Your Word, will align my voyage, and remind me where I’ve been and where I am going." Avery Chidiac is a senior at Pepperdine University studying Communications. 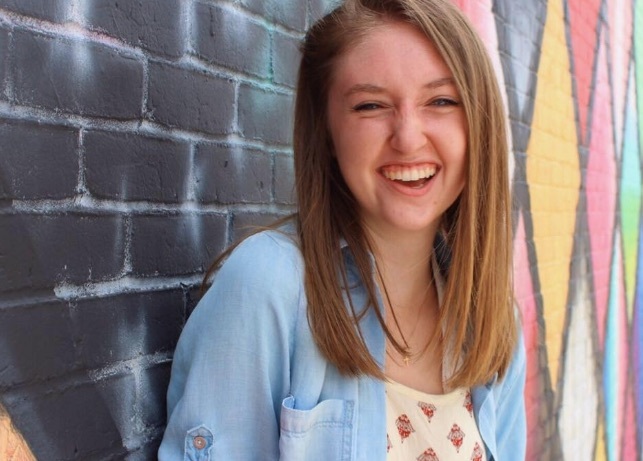 There she is involved in many activities including Delta Delta Delta and Campus Ministry. A proud Texan, Avery enjoys spending time with family and friends over a nice bowl of good queso.